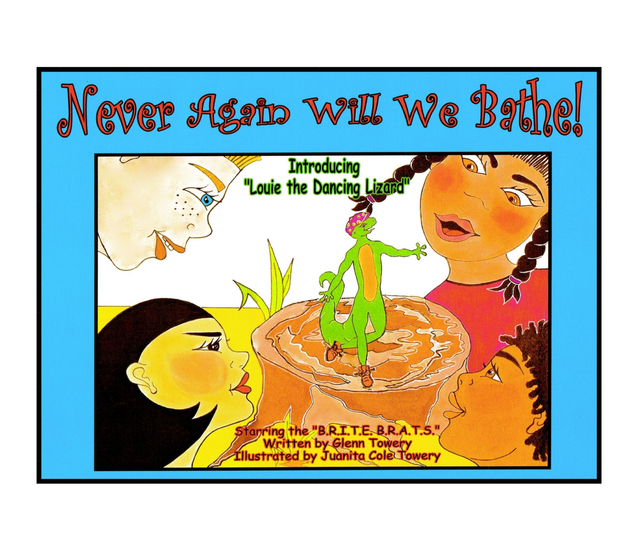 In "Never Again Will We Bathe! ", the B.R.I.T.E. B.R.A.T.S., while playing at one their friend's houses become bored and one of the kids start to talk about whether it's better to be clean or dirty. Find out what happens when the unexpected occurs! The B.R. I.T.E. B.R.A.T.S. is an acronym for "Being Respectful in Today's Environment Brings Real Achievement Towards Success." The group consists of four multicultural friends named Jamal, Kako, Mitch, and Maria who share life experiences from a child's point of view.